As the FCC considers how to regulate Internet providers, the telecom industry’s stealth campaign for hearts and minds encompasses everything from art installations to LOLcats. On a recent Monday evening, two bearded young men in skinny jeans came to a parklet in San Francisco&apos;s trendy Hayes Valley neighborhood and mounted what looked like an art installation. 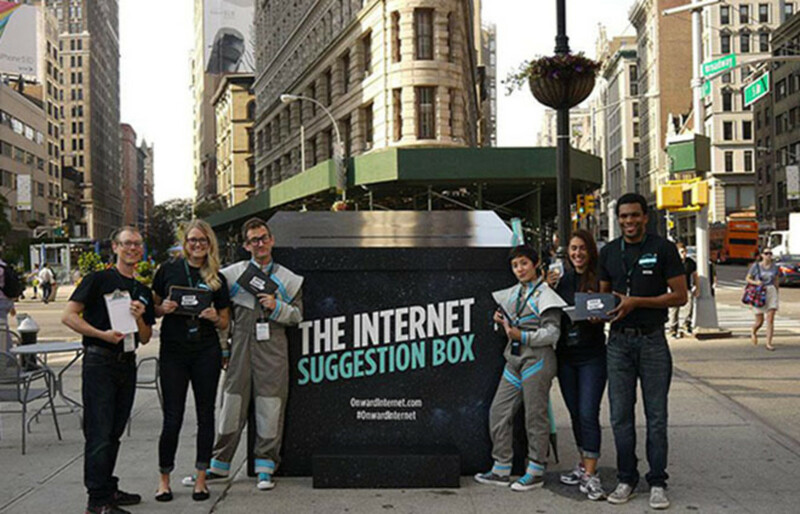 It was a bright blue, oversized "suggestion box" for the Internet. The boxes, sometimes accompanied by young people in futuristic costumes, have been popping up on both coasts for weeks, soliciting messages of support—but their sponsor has been a mystery. The website for the campaign, Onward Internet, does not say. Their domain registration is private. And the site includes no contact information, only an animated video heavy on millennial lingo: "The internet was made to move data ... we got blogs, likes, selfies and memes, OMG, BRB and TTYL." 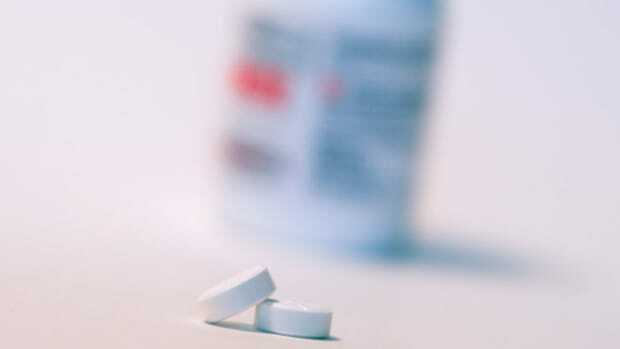 The lone hint at a larger message is oblique. "The Internet is a wild, free thing," the site says. "Unbounded by limits, unfettered by rules, it&apos;s everyone&apos;s responsibility to ensure that the Internet continues to advance." Turns out Onward Internet may be the latest stealth entrant in the increasingly nasty battle over net neutrality, which will determine how the government regulates Internet providers. The production agency for Onward Internet wouldn&apos;t say who their client is, but an employee for the company that rented the space for the Hayes Valley installation let slip that "It&apos;s something called the National Cable and Telecommunications Association"—the principal trade group for the telecom industry. Telecom companies have been the fiercest opponents of a proposal under which the government would treat broadband like a utility, making it easier for regulators to keep Internet providers from blocking certain sites or saddling some content providers with slower speeds or higher fees. As the Federal Communications Commission nears a decision on new rules, suspicions have grown that industry players are funding independent groups to create the appearance of diverse, grass-roots backing. Think tanks have been accused of being co-opted. Non-profits have been criticized for concealing who they represent. In one case, the telecom industry was accused of fooling unwitting businesses into joining a coalition against broadband regulation. NCTA officials did not respond to questions about Onward Internet and would not confirm they&apos;re behind it. "What led you to the conclusion that this is an NCTA effort...?" asked Brian Dietz, a vice president for the organization, before he stopped responding to emails. It&apos;s unclear what the lobbying giant hopes to get out of this particular campaign, but the Onward Internet website, call-in line, and Twitter feed are collecting messages of support from visitors who would have no way of knowing they&apos;re backing a telecom industry campaign. "Sorry we can&apos;t come to the phone right now," the call-in greeting says. "We just got wind of the juiciest celebrity rumor and we&apos;re working to confirm it. So please leave your suggestion for the future of the Internet at the beep and visit Onward Internet dot com next month to see what we&apos;ve done with it." 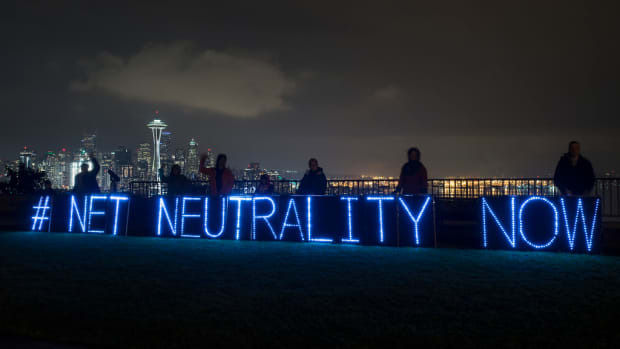 Many in the tech community have pinned their hopes for saving net neutrality on the reclassification proposal that would give the FCC more power over Internet providers. Their belief is that it would make it harder for Internet providers to charge content providers more for faster service, and thus protect tech start-ups from being squashed by established brands that have the resources to pay a premium. That&apos;s why there was surprise in Silicon Valley when a non-profit called CALinnovates, which says it represents the interests of technology companies and start-ups, entered the debate by taking a stance against the government regulation plan. "We&apos;d never heard of them until then," said Julie Samuels, executive director of Engine, a non-partisan start-up advocacy group. CALinnovates filed comments with the FCC opposing the plan. The group&apos;s executive director Mike Montgomery wrote a column for the Huffington Post, echoing warnings raised by the telecom industry that more regulation would hamper innovation. "Would we even know what an iPhone is if Steve Jobs had to run his pricing models past the FCC?" Montgomery asked. "Would Twitter be fomenting revolution if Jack Dorsey needed to check with regulators about what kind of data can be shared online and by whom?" Most notably, the non-profit got a flurry of press coverage for a poll it commissioned that found Americans don&apos;t support more regulation: "Only one in four Americans believe that government policies can keep up with the pace of innovation that we are seeing with technology, such as the Internet." The group&apos;s stance gave the anti-reclassification camp a backer from within the tech community—a boon for one of CALinnovates&apos; supporters, AT&T. In an interview with ProPublica, Montgomery declined to say to what extent his organization is funded by the telecom giant, which is listed as a "partner" on its website. Asked if AT&T consulted with him about his net neutrality stance, he said "We have input and advice from all of our members." Later, a spokesman for the non-profit released a statement to ProPublica saying, "CALinnovates&apos; position on net neutrality was based on a thorough economic and legal analysis and reflects CALinnovates&apos; independent thinking on matters important to the tech industry." The organization&apos;s telecom-friendly position didn&apos;t seem to mesh with its advisory board, which includes some of Silicon Valley&apos;s more prominent names. Ron Conway, for example, is a well-known angel investor who has been a strong backer of government action to protect net neutrality. Asked about the apparent contradiction by ProPublica, Conway&apos;s spokesman lauded "diversity of viewpoints" and CALinnovates but said his boss was on "opposite sides" with the non-profit. Days later, Conway resigned from the CALinnovates board. Outside of CALinnovates, Montgomery has worked for other organizations with telecom ties. Before heading up the non-profit, he worked for a lobbying firm and political candidates that have taken money from AT&T. Montgomery said he did not feel he needed to disclose CALinnovates&apos; AT&T ties in his columns on net neutrality. "We receive support from all of our partners," he said. "I think you&apos;ll see a diversity of opinion if you spend some time reading all the things I write." The FCC has been taking public comments and hosting forums on net neutrality for months, and is expected to make a decision by the end of the year. Columbia Law School professor Tim Wu—who coined the term net neutrality in 2003 and is a proponent of government regulation to protect it—said he worries astroturfing efforts may lull some lawmakers into inaction. "The effect of the astroturfing is to make everything foggy," Wu said. "It propels the argument that if things are cloudy, government should stay away (and) let the market decide." After publication of this story on ProPublica&apos;s website, Brian Dietz, a vice president for the National Cable and Telecommunications Association, issued a comment on behalf of the organization. He said that although the NCTA is interested in soliciting comments on net neutrality, it also wants to hear about other Internet-related issues. 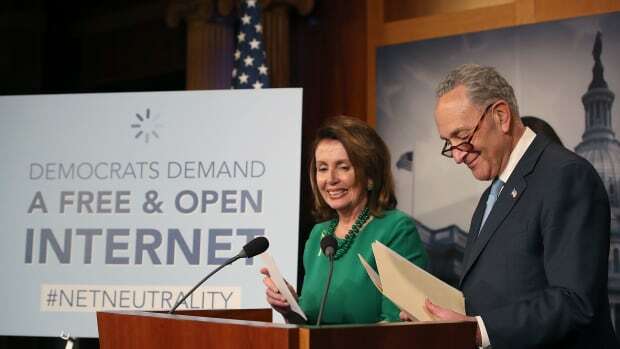 "We know that network neutrality is important to Internet users and we share the vision that the Internet remains an open and unfettered experience for all to enjoy," he said in his statement. "We&apos;ve kept NCTA&apos;s brand off Onward, Internet because we want to collect unbiased feedback directly from individuals about what they want for the future of the Internet and how it can become even better than it is today. The cable industry is proud of our role as a leading Internet provider in the U.S. but we feel it&apos;s important to hear directly from consumers about how they envision the future so we can work hard on delivering it." This post originally appeared on ProPublica as “Mysterious Campaign Appears to be the Latest Salvo in Battle Over Net Neutrality” and is republished here under a Creative Commons license. The fight over whether the Internet should have a meter has created some unexpected alliances in the groups lobbying the FCC. The question of 'net neutrality' will impact how you visit Miller-McCune.com in the future, but it's a hot topic of debate today. A good day in court for Internet providers may lead regulators to a nuclear option those providers dread. Hollywood powers are taking sides in the escalating debate over "net neutrality."